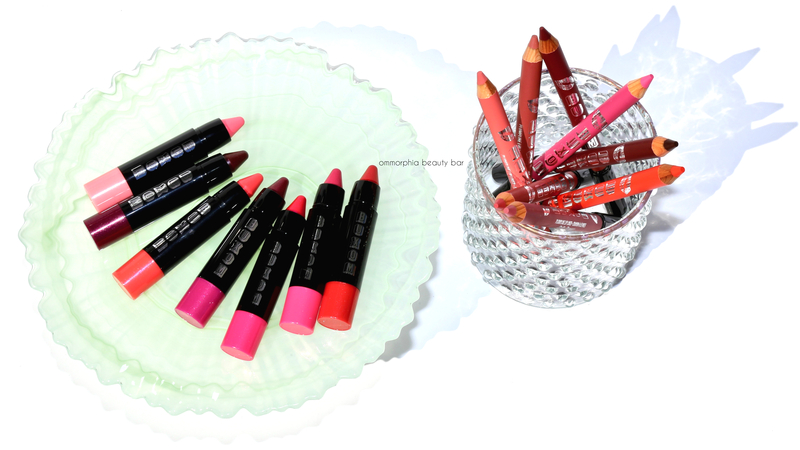 Buxom has been around for some time now, although it’s a brand I’ve yet to explore — until now, that is, so naturally when these lippies came in I was excited to give them a shot. Forgetting for a moment the torture I put my lips through when working on a lot of swatches, I can’t resist a chubby stick…they’re just so cute, dammit. 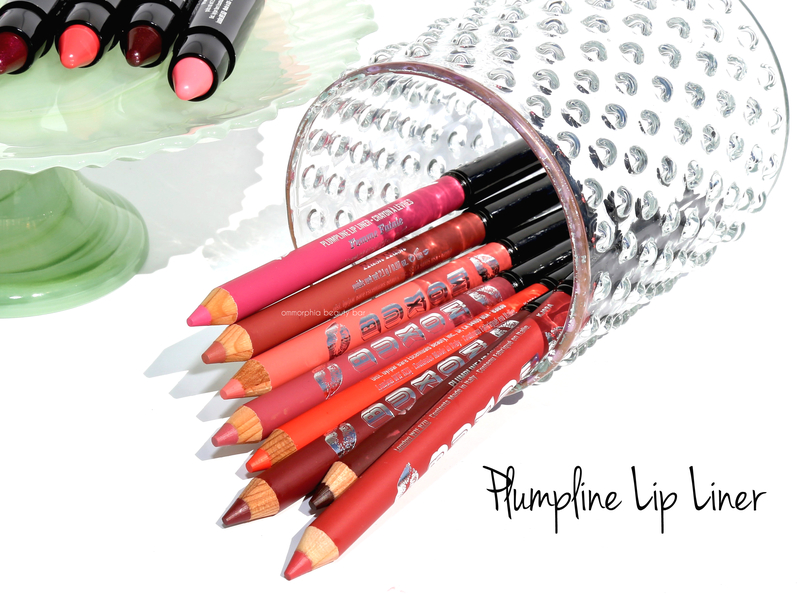 Plumpline Lip Liner (CAN $20.00/each) | Available in 20 shades, this is lip liner on steroids; its thicker-than-average size makes it versatile enough to use all over the lips in a lipstick-like fashion, but the beauty is that you can also sharpen it for precision work as a traditional lip liner. The other end has a small tapered brush that can be used for layering and/or blending in your lipstick on top. 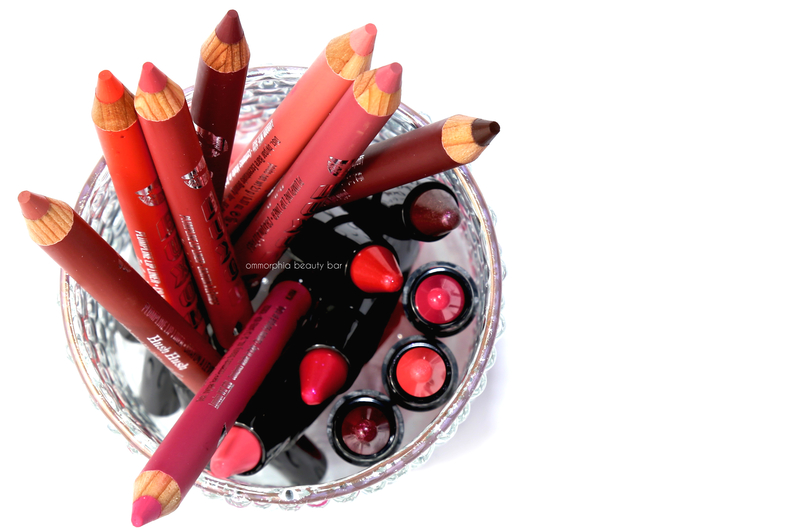 The texture is pretty stable and easy to use and while not exactly hydrating, it still has a relatively smooth feel along the lips that leaves a semi-matte finish behind (which can also work great to anchor lipstick). 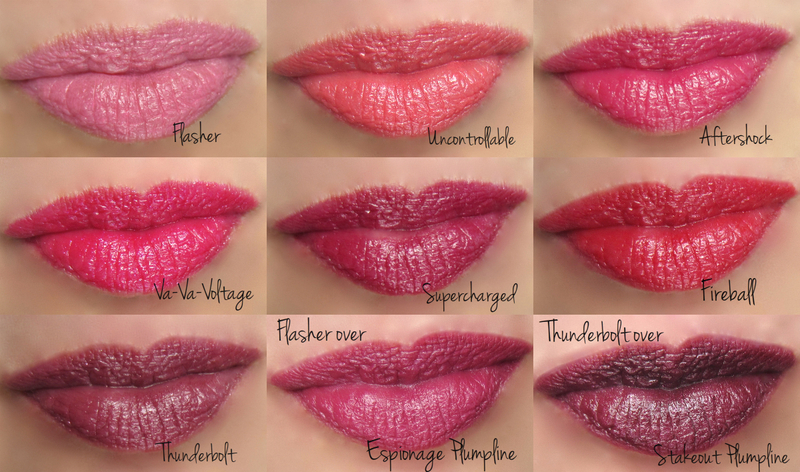 As to any plumping effect (apparently these contain some of the lip plumping ingredients found in some of the brand’s other lip products), I can’t say I noticed anything but if it’s there, I’m guessing it can’t hurt the cause. And just for fun, I even played with creating a light ombré effect using 2 of the shades (see centre swatch below). 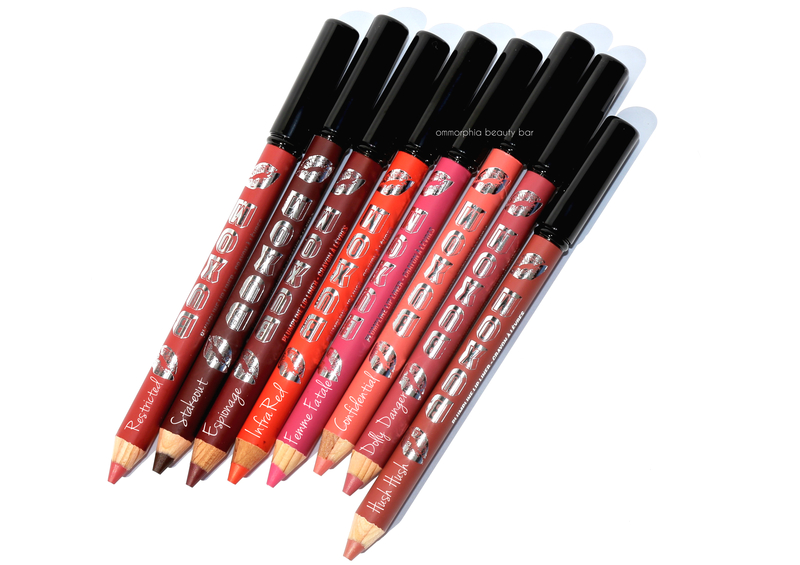 Shimmer Shock Lip Stick (CAN $23.00/each) | Available in 12 shades, these are actually gel lipsticks in a twist-up pencil format. 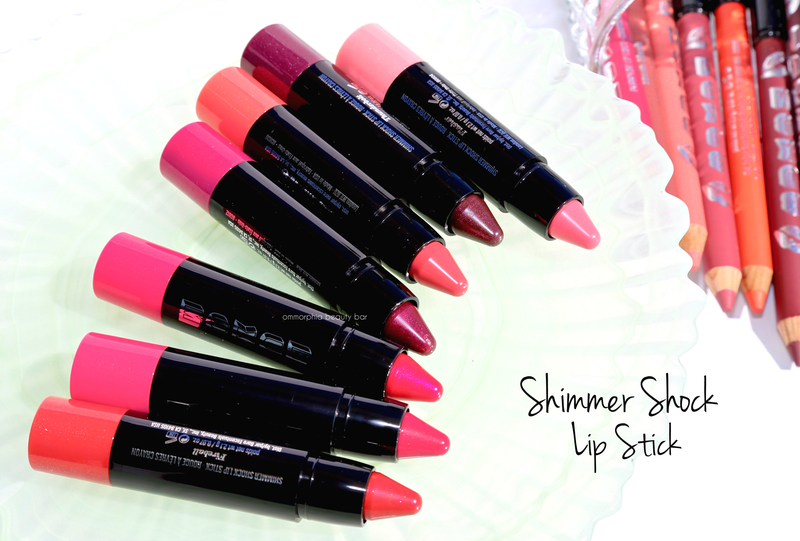 The featherweight formula also includes light-releflecting pearls to help lips look fuller and more illuminated, along with plenty of shimmer for sparkle (with no gritty feel), while the texture is of the gliding variety and lays down effortlessly along the lips. 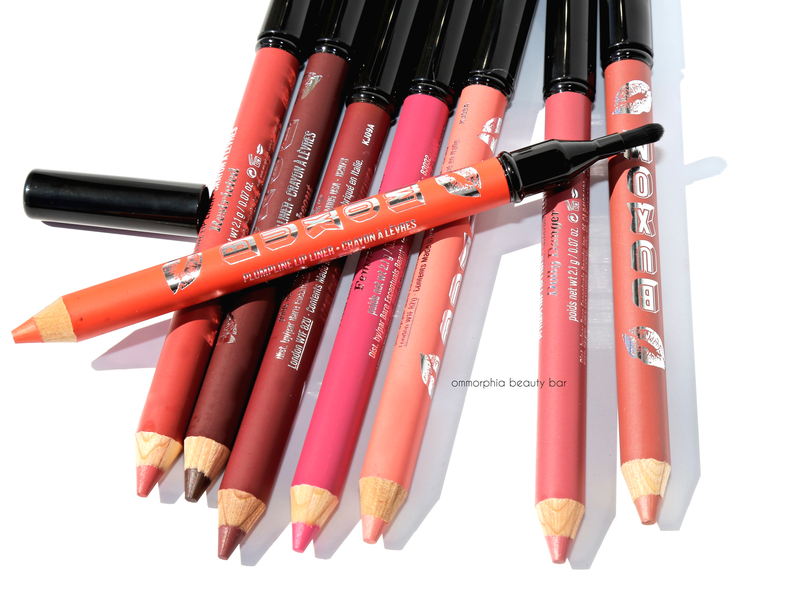 Buttery feeling (but not heavy or greasy) they’re really goof-proof to use and can even be combined for customized colour, or layered over lipliner for extra staying power. The finish is surprisingly glossy with a few applying slightly sheer and others with deeper pigmentation, and keep in mind that there may be some shimmer spread upon removal. Really pretty colors, loved them all!